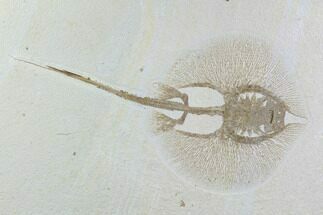 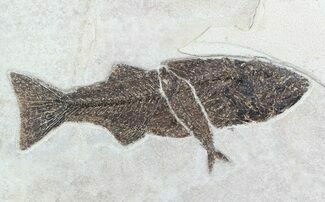 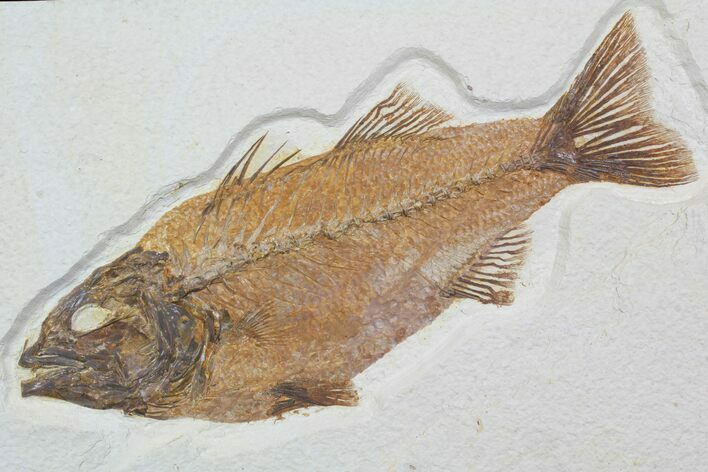 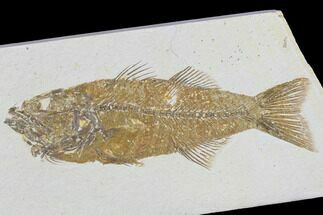 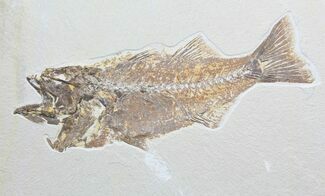 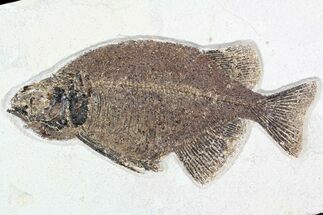 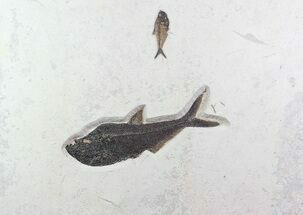 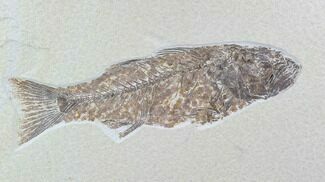 This is a beautiful example one of the uncommon fossil fish from the Green River Formation, Mioplosus labracoides. 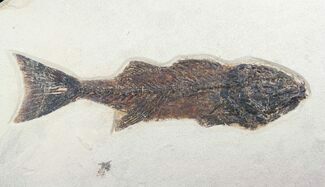 It's 10.1" long with excellent preservation and preparation. 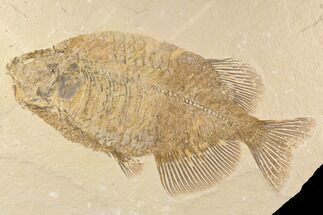 It's nicely presented on a 13x7.2" slab of rock that has been backed for stability and to allow it be be easily hung on a wall.